Adam Hendrickse Vrooman (1649-1730) – 8th great-grandfather of Richard, James, Gary, Lisa, Carl, Jane, Bruce, Cathy, Ron, Stacey, Matt and Sandy; and 9th great-grandfather of Asher, Owen, Caitlyn, Becky, Emily, Jack, Jill, Jordan, Mike and Brian – is also the 5th great grandfather of Tony- and Academy Award-winning actor Henry Fonda. Adam was born in Leiden, Holland, and came to America c1670, where he was among the first settlers of the Schenectady, New York, area. Adam’s daughter Marytje (1699-?) married Douw Jellis Fonda (1700-1780), another settler of Dutch ancestry. 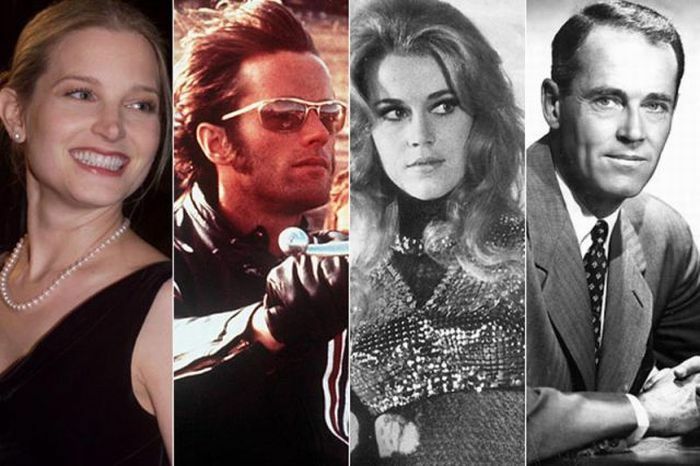 Henry Fonda, his daughter, Jane, son Peter, and Peter’s daughter, Bridget, are all distant cousins of ours, by way of Douw’s and Marytje’s son, Adam (1736-1808). But wait, there’s a double connection: Douw Jellis Fonda’s mother, Rachel Winne, was the daughter of our 9th great-grandfather Pieter Winne (1609-c1690), making Pieter the 6th great-grandfather of Henry Fonda.